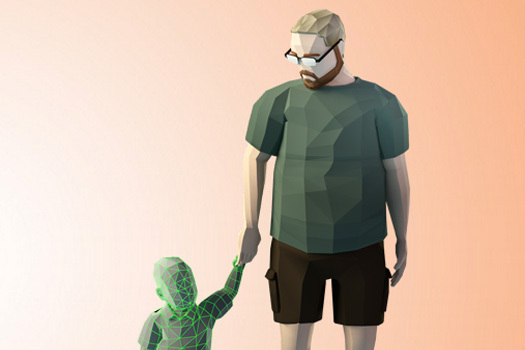 When one-year-old Joel is diagnosed with terminal cancer, his father Ryan begins working on an unusual and poetic video game to honor Joel's life. Following Ryan's family through the creation of the game and the day-to-day realities of Joel’s treatment, Thank You For Playing is a thought-provoking testimony to the empathetic power of art, examining how we process grief through technology in the twenty-first century and the implications of documenting profound human experiences in a new artistic medium: the video game. David Osit is a commercial and documentary film director, editor and composer based in New York. His first feature documentary film, Building Babel is a recipient of ITVS Open Call funding and broadcast on PBS America Reframed. David was co-producer and composer for Where Heaven Meets Hell, which broadcast on PBS Global Voices in 2013. He is also the editor of Live From New York! (Opening Night, Tribeca Film Festival 2015). David received his masters in fine arts in social documentary film from the School of Visual Arts in New York. Malika Zouhali-Worrall is a New York-based director, producer and editor. Her first feature documentary film, the multiple-award winning Call Me Kuchu, premiered at the Berlin Film Festival, screened at more than 200 film festivals, and has been theatrically distributed in the US, UK, Canada, and Germany. Malika is a Chaz & Roger Ebert Directing fellow and an alumnus of the Film Independent Doc Lab, Tribeca All Access, the Firelight Media Lab, and the Garrett Scott Documentary Grant. In 2012, Filmmaker Magazine named Malika one of its Twenty-Five New Faces of Independent Film.